I adore the large dragonflies that flit around our pond, but I’m equally a fan of the delicate blue damselflies. 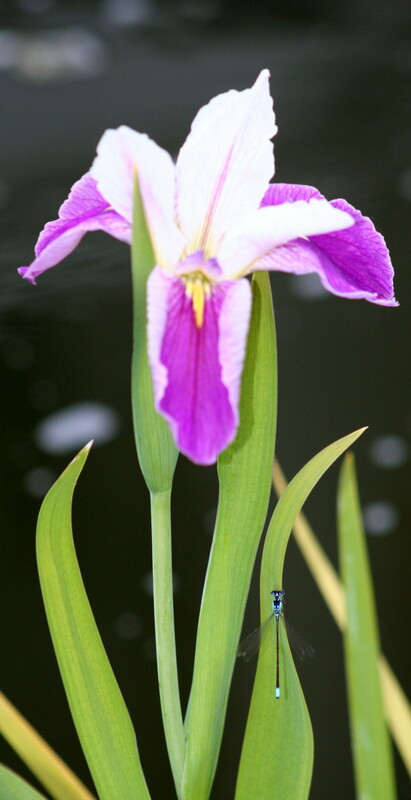 They seem particularly drawn to the water iris leaves as a place to perch. Perhaps I spoke hastily. 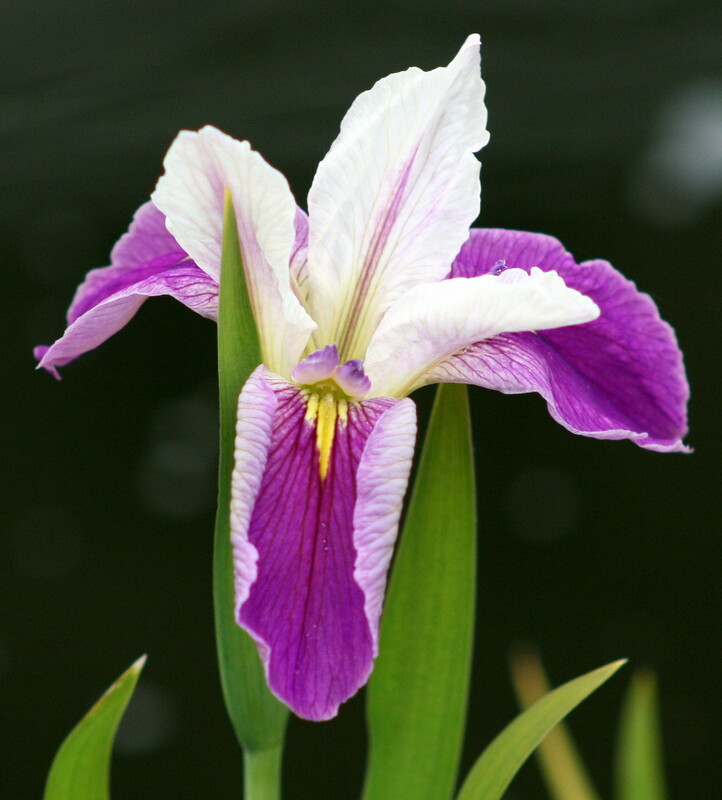 I recently declared that I had the world’s most beautiful iris in my yard. 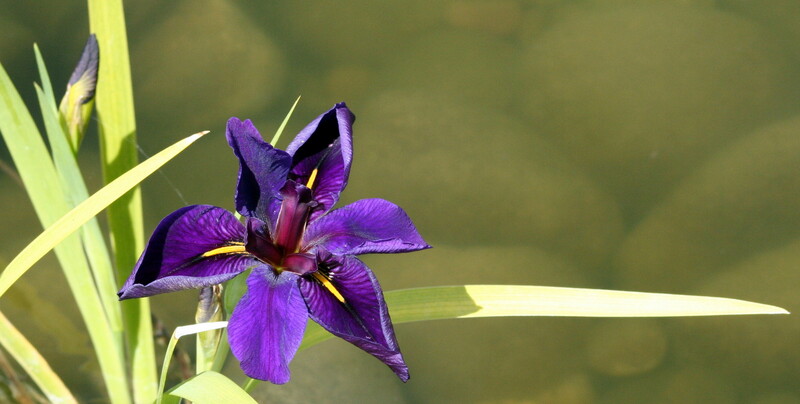 But then this one bloomed in my pond (it’s a water iris). It is very lovely and this is the first year it has bloomed. I wish in this shot the depth of field focus was better, because I didn’t even realize the damselfly was there until I looked at the photo later. I was so focused on admiring the flower!